Rules are relevant for many reasons – most importantly because they keep us safe and civilized. But sometimes, in certain situations, rules are meant to be broken. We’ve all grown accustomed to rules which are relentlessly taught to us during grade school – no running in the halls, raise you hand before you speak and treat others as you want to be treated. Many of the rules we learn, then, are carried over into our adult lives, especially when it comes to the rules of grammar – there’s no running away from that one. There’s nothing more embarrassing than having someone point out grammar mistakes in a love letter, business proposal or other document that’s meant to be taken seriously. If you’re unable to effectively communicate your thoughts and feelings, then life gets a whole lot more complicated. 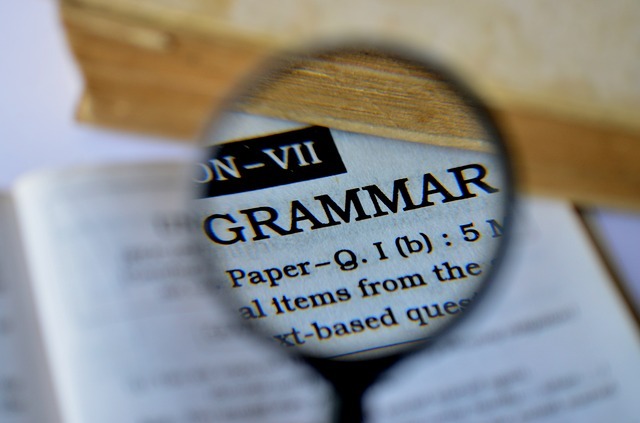 But rather than fretting over every small detail, there are some grammar rules that just aren’t worth sticking to. Here are ten that are actually worth being broken. This is one of the first lessons we learn when we start paragraph writing in elementary school. It’s a strict rule that becomes lax and non-existent in the professional world, especially as a writer. Authors of books and bloggers who write in a unique and conversational tone are the main culprits who throw out this rule. You’ll find this rule being broken in some of the best writings in the print and online world. So if you’re writing and you find that it would sound more fluid if you begin a sentence with an and or but, then go with it. The same can be said with other words including because, or, so and also. A lot of people find this rule to be annoying and outdated. No one in America speaks this way, so it doesn’t flow naturally in our writing. An example of this would be: “From where did you come?” instead of “Where did you come from?” Prepositions include words like from, for, with and of. Unless you’re trying to impress your English professor, there’s no sense in spending too much time rearranging your sentences. The above subheading clearly disregards this rule and so does the majority of Western civilization. The only time we abide by this rule is when we’re upset – “Do NOT touch that!” It is appropriate in situations where over-pronunciation of words seems necessary. In speech and writing, contractions just sound so much better – don’t you think? The only time this rule is mandatory is when you’re writing for a corporate or formal audience. However, if the audience is relaxed, then everyday slang words can be effectively implemented without misconstruing your message. In this case, you just have to be mindful of who you’re writing the content for. Since the birth of copywriting we have seen the emergence of short paragraphs – some even having only one sentence. This makes copy much easier to read and more eye-catching. The idea is to make the content skimmable for readers. Again, this is an old English conundrum that didn’t quite make it to the Western world. Most Americans have never even used the word whom in their everyday vocabulary. An even smaller portion of that number actually knows how to properly use who and whom. With that said, it has become widely accepted to use who in every instance without fearing a backlash from readers and editors. These two words are some of the most misused in the English language. Most writers today play it by ear, choosing whichever word sounds the best. You can add a bit of drama to your text by including incomplete sentences. But don’t do this too often or you’ll seem like a confused narrator. If you’re writing and worried about your grammar, just remember – read your content out loud to see if it sounds good to you. « When Is the Best Time to Publish a Blog Post?